At Rentolease we are able to help you ensure you as a landlord meet all current and future regulations. This guide explains the implications and requirements of the various legislation that currently applies to rented residential property. It is intended for guidance purposes only and is not an authoritative statement of the law. Should you require further clarification you are advised to contact the appropriate authorities direct. The above regulations were amended in 1993 and have set new levels of fire resistance for domestic upholstered furniture and furnishings. It is now an offence to “supply” in the course of a business any furniture that does not comply with the regulations. This includes supplying furniture as part of a let residential property. We understand that is does not strictly apply to a landlord letting his own home for a “temporary” period and not in the course of a business although the regulations do not specifically clarify this point. It does apply to landlords letting a “second property” or any other letting as an investment. The regulations apply to: sofas, beds, bedheads, children's furniture, garden furniture suitable for use in a dwelling, scatter cushions and pillows, stretch or loose covers for furniture and other similar items. The regulations do not apply to: curtains, carpets, bed-clothes (inc. duvets) and mattress covers. 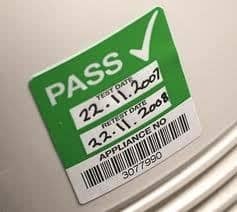 Any furniture manufactured after March 1990 is likely to comply but if the appropriate labels are not on the furniture, compliance is in doubt then checks should be made with the manufacturer. FAILURE TO COMPLY WITH THE REGULATIONS MAY JEOPARDISE THE LIFE OF YOUR TENANT AND LEAD TO PROSECUTION WITH PENALTIES OF IMPRISONMENT OR FINES UP TO £5,000. These regulations came into effect on the 31 October 1994 to ensure that gas appliances are properly installed and maintained in a safe condition so as to avoid the risks of carbon monoxide poisoning. 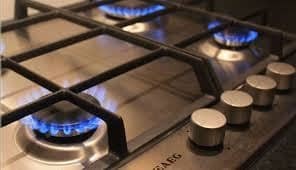 It is the responsibility of landlords of domestic properties that ALL “Gas Appliances” and “Gas Installation Pipework” owned by him are checked for safety at least once a year by British Gas or a member of the Council for Registered Gas Installers (CORGI) and that accurate records are kept of those safety inspections and any work carried out. These records must be available, upon request, for inspection by any tenant. “Gas Installation Pipework” - includes gas pipework, valves, regulators and meters. Faulty equipment can lead to death and conviction of unlawful killing on a landlord. Under the regulations any appliance that does not conform to the regulations can be disconnected. FAILURE TO COMPLY WITH THESE REGULATIONS MAY JEOPARDISE THE LIFE OF YOUR TENANT AND LEAD TO A PROSECUTION WITH PENALTIES OF IMPRISONMENT OR FINES UP TO £5,000. The above regulations impose an obligation on the landlord to ensure that all electrical appliances left as part of a let property are tested for earthing, insulation and leakages. Cabling, fuses and plugs should also be inspected and replaced where necessary to the correct rating for that particular appliance. Other legislation covering electrical installations is currently in force and in order to avoid prosecution, we recommend that all electrical appliances in let properties are regularly checked and serviced. In terms of the housing Scotland Act landlords must ensure that the property has satisfactory provision for detecting fires and giving warning in the event of fire or suspected fire. Any smoke alarm fitted must be mains powered, even if it is replacing a battery powered alarm. Existing smoke alarms installed before 3 September 2006 can continue to be used provided they are in good working order. Landlords should ensure that smoke alarms are regulary maintained and tested. The landlord’s duty to repair and maintain applies to any tenancy of a property let for the purpose of human habitation. (f) The property has satisfactory provision for detecting fires and giving warning in the event of fire or suspected fire. 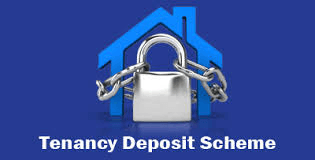 On 7th March 2011 the Tenancy Deposit Scheme (Scotland) Regulations 2011 came into force. These Regulations will change the way in which you deal with deposits. From 2nd July 2012, you will be required to hand over the deposit to one of the approved Government Schemes who will hold the deposit until the end of the tenancy. At the end of the tenancy you will need to agree with the tenant how the deposit should be allocated and advise the Scheme holding the deposit. The Scheme will then repay the deposit in accordance with the agreement unless there is a dispute between the parties over the deposit allocation. In these circumstances the Scheme will ask for evidence from all parties as to how they feel the deposit should be allocated and the Scheme will then carry out an adjudication process and issue a draft report for review by all involved. Once comments have been received then there will be a final decision and the Scheme will pay out the deposit in accordance with that decision. This means that there will be delays in landlords and tenants getting their deposits back, particularly if there is a dispute. Landlord Registration: Since 30 April 2006, all private landlords in Scotland are required to register with their local authority. This guide explains the implications and requirements of landlord registration in Scotland It is intended for guidance purposes only and is not an authoritative statement of the law. Should you require further clarification you are advised to contact the appropriate authorities direct. All landlords (with a few exceptions) are now required to register with their local authority, to ensure that they are a "fit and proper person" to let property. It is an offence to let any house without being registered. You will be able to register online at www.landlordregistrationscotland.gov.uk or get an application form from your local authority. Which local authority should I register with? You must register with each local authority in whose area you let property. If you own properties in more than one area, you will be able to apply online to register in all authorities in one application, and this will reduce the total fee that you will have to pay. Rentolease manage my property what should I do? There will be a separate reference number for each local authority your agent is registered with. Please enter the correct one for the local authority where your property is located. 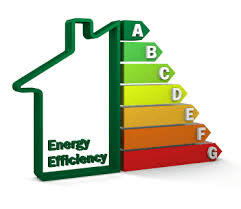 Why are EPCs (Energy Reports) required? Under Article 7 of the European Performance of Building Directive (2002/01/EC) an Energy Report is to be made available to all prospective tenants in residential property from the 4th January 2009. The aim of the Energy Report is to provide tenants with the energy efficiency rating of the property and ultimately lower fuel bills and CO2 emissions. The Energy Report will provide a rating from A – G and will show the current rating and the potential rating. The certificate will be similar to the style widely used at present to show energy efficiency of items such as fridges. The Energy Certificate is a one-page document that requires to be positioned in the property where it can be readily accessed but not obscured. The best position is likely to be a gas or electric meter cupboard. An energy report will last for a period of 10 years. Who can prepare an Energy Report? Energy Reports can only be provided by suitably qualified persons who are members of a professional organisation/institution that has signed a protocol with the Scottish Government. Rentolease will instruct only surveyors who have undergone detailed training to provide you with the correct information and ensure that you comply with your legal requirements as a landlord. The local trading standards office has the power to fine the landlord £500 for failure to have a valid EPC and thereafter insist that the correct document is obtained. How can I get an Energy Report? Obtaining an Energy Report is simple. All you need to do is contact Rentolease and we shall instruct an Energy Report on your behalf with prices starting at only £50. Likewise if you have any questions please do not hesitate to give us a call. 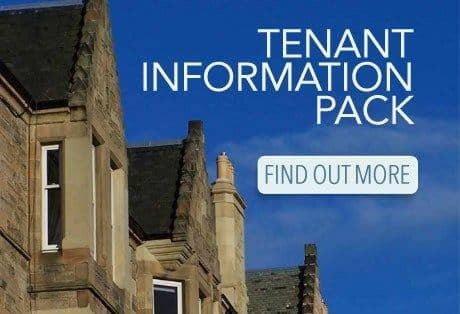 A: The tenant information pack is a standardised pack which provides information to tenants in privately rented housing. It talks about property condition, tenancy agreements, and the rights and responsibilities of landlords and tenants. Scottish Government has produced revised statutory guidance on the requirements for smoke alarms. A copy of the revised statutory guidance is available on the PRHP website by visiting www.prhpscotland.gov.uk. The landlord should either install smoke and fire detectors that meet the standard set by building regulations or be able to justify why a lesser level of protection is appropriate in a particular house. Q: What happens if a landlord does not provide a tenant information pack? Failure to provide a tenant information pack is a criminal offence. If a landlord does not provide the pack, they can be fined up to £500. 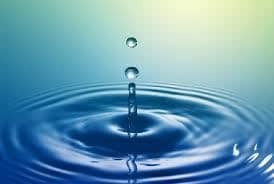 There has recently been a change in the HSE legislation regarding the control of legionnaires disease. This change now means the legislation applies to residential lettings, whereas before these were not covered due to their size. The changes now mean that all residential lettings must have a legionella risk assessment carried out to assess the risk of the properties, which then allows for a suitable control scheme to be implemented.